Sensors: temperature, sound, crash, moisture, light, etc. Includes a Relay, a DC motor, a 180° Servo, etc. 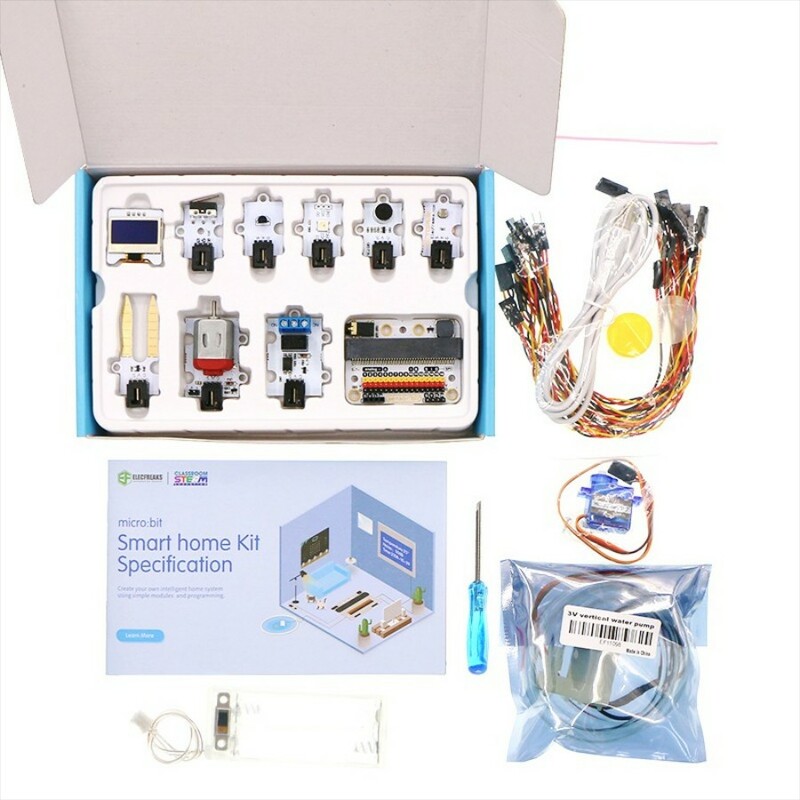 The ElecFreaks micro:bit Smart Home Kit (without micro:bit board) is a product about smart home project base on micro:bit with selected components commonly used at home as TMP36 temperature sensor, sound sensor, crash sensor, servo, motor. You can build scenes like windowsill, wardrobe and fish tank, create yourself smart sweet home and programming to intelligently driving them using micro:bit. Smart home is what makes life more practical and playing with it is what makes life more interesting.